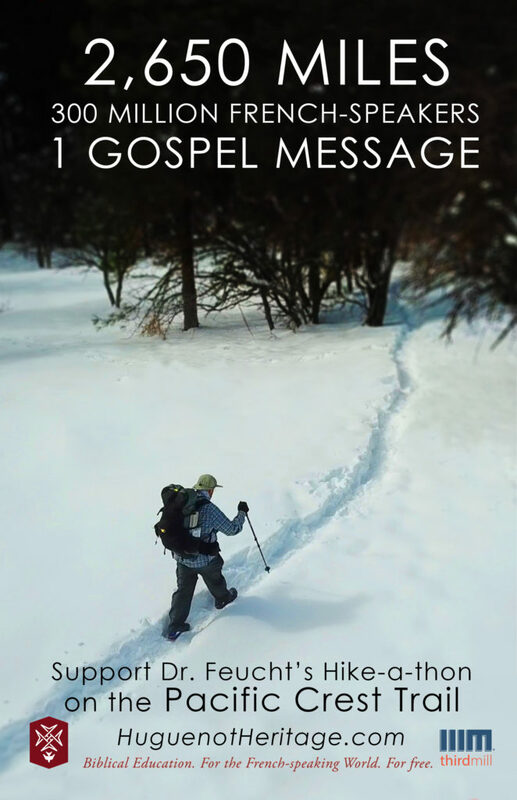 Help Huguenot Heritage bring a Biblical education, to the French-speaking world, for free through Dr. Ken Feucht’s Hikathon on the 2,650 mile Pacific Crest Trail! 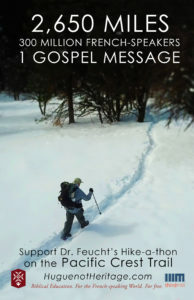 Pledge any amount per mile – 100% of the proceeds go towards Huguenot Heritage’s mission of creating biblical training. 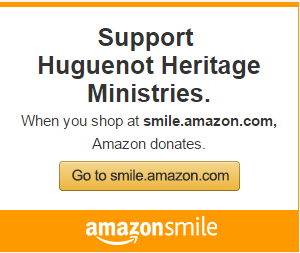 Huguenot Heritage is a 501(c)(3) organization. All donations are tax-deductible. Dr. Feucht’s journey will begin on April 4th at the Mexican border in California. He anticipates taking 5-6 months. His wife Betsy will be providing the home support by sending him resupply packages. The total length of this journey is just over 2650 miles. Walking about 15- 20 miles a day, it will allow for a day a week of rest and still finish before the winter storms hit. Updates on the venture will be provided at pledge.huguenotheritage.com. All funds raised for this venture go to Huguenot Heritage. Dr. Feucht will be supporting himself on his journey.